5. I had A, B, D in mind. However, When I read the conclusion "therefore" I assume that it was talking about how Thibedeaux arrived late. And, selected A. Can you explain why A is wrong and why is B correct? Did you diagram the conditional relationship in this stimulus, Alexander? That key word "any" should tell you that you are looking at sufficient conditions, and then along comes "must" indicating a necessary condition. Even if you don't diagram that, the fact that conditional reasoning is so obvious here and that the stem is indicating a Flaw in the Reasoning question should set you up to look for some answer that describes one of the classic conditional errors, a Mistaken Reversal or Mistaken Negation. Answers A and D don't deal with conditionality, but answer B does (look at the presence of the words "if" and "sufficient"). 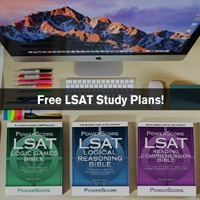 Not sure if you are in one of our courses, or using the LR Bible or another book for self study, but whatever resources you are using, if all this talk about conditional reasoning is not familiar, then you should look into it. 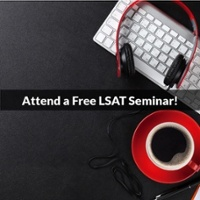 We discuss it in many posts in this forum and in our LSAT Blog. 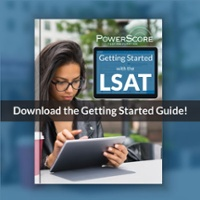 It's a foundational concept on the LSAT, usually appearing in 15-20% of the LR questions and in at least half the games. Mastering it will mean a lot of the test gets much easier; failing to do so means a huge swath of the test will seem mysterious and impenetrable. Let us know if you cannot find useful resources for studying conditional reasoning, and we'll see if we can point you towards some. Good luck and study hard! I immediately narrowed the choices down to B and C based on the conditionality used in the stimulus. I originally chose answer choice C. Is B correct because it describes a false dilemma? The stimulus did not specify that failing to appear on time for any quarterly board meetings or missing 2 monthly general meetings were the only possible ways an officer could be suspended. I can't understand what flaw C is describing and why it is incorrect. Can someone help me out? Is C describing circular reasoning? The flaw here is a false dilemma, as described by answer B - good job analyzing that one, Jessica! Answer C is indeed describing a conditional flaw, not circular reasoning. The answer talks about confusing something that is required (necessary) for something sufficient, and that would usually be a perfect description of a Mistaken Reversal. A circular reasoning answer, on the other hand, would say something like "merely restates a claim rather than providing support for it" or "assumes what it sets out to prove". The key to circular reasoning is recognizing that the author has offered no evidence at all - none - in support of their conclusion, but instead merely restates their premise. "The Panthers are the best team in the NFL because they are better than all the other teams" is a circular argument. 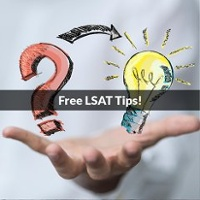 Although this stimulus has clear conditional reasoning in it ("if you are late for a quarterly meeting or miss two monthly meetings, then you must be suspended; T didn't miss a monthly meeting but was suspended, so he must have missed a quarterly meeting"), and that conditional reasoning is a Mistaken Reversal, answer C is imperfect in that it talks about an "assumption" being required, but not sufficient, to establish that conclusion. So what is the required assumption here? The assumption is that there is no other reason for a suspension - the false dilemma! A true Mistaken Reversal answer would have said something like "the author assumes that a condition sufficient to prove another condition is present is necessary when that other condition is present." It's not that a necessary "assumption" is being mistaken for a sufficient "assumption", but that a necessary "condition" is being so confused. That's subtle and tricky! Asking yourself what that assumption (an unstated premise) is might help you to realize that answer C doesn't really describe a Mistaken Reversal at all, and that the argument instead relies on the false dilemma. Hard choice between those two, but the subtle difference between answer C and a true Mistaken Reversal answer is the key. So this stimulus commits a Mistaken Reversal and a False Dichotomy? For Mistaken Reversal, the author takes the necessary condition (suspension) as the sufficient condition? Could another answer be that the author takes the sufficient conditions (Late to Quarterly Meeting or Miss Monthly Meeting) as the necessary condition? 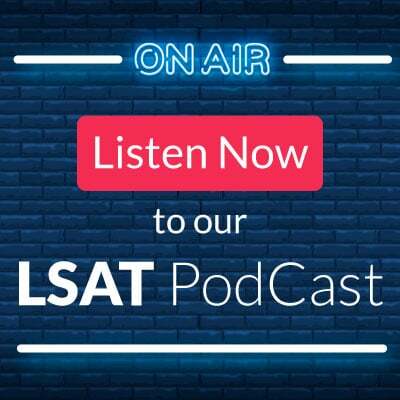 LSAT2018 wrote: So this stimulus commits a Mistaken Reversal and a False Dichotomy? I too would like this answered. I am currently convinced that C would have been a valid answer if it has stated "takes for granted that a CONDITION required..." I don't think any assumptions were made in the question, but only conditions. Am I making a distinction without a difference here? The condition required (necessary condition) is being suspended. This condition is required if an officer fails to appear on time for a quarterly board meeting (the conclusion). However, the passage takes that necessary condition, and it turns it into a sufficient condition for the conclusion to be established (i.e. if he is suspended [sufficient], then he fails to appear on time for a quarterly board meeting (conclusion). C actually seems to match perfectly with the situation, aside from using the term "assumption," which I think makes it fall apart. I noted that B doesn't use the term assumption at all, but instead "event". From my understanding, assumptions are things that are unwritten things (as we see in necessary assumption/justify conclusions questions). Byrne looks at that conditional statement and sees that the necessary happened and one of the two sufficient conditions did not, and so then makes a Mistaken Reversal and concludes the other sufficient condition must have been the one that occurred. But in drawing that conclusion, Byrne assumes that the only sufficient conditions are the ones stated, which is a false dilemma/dichotomy because there could be other things that lead to suspensions (for example, maybe there's a morality clause in the club's bylaws that can lead to suspension). By assuming that only the sufficient condition stated in the problem can lead to suspension, Byrne commits the error described in (B). In one sense, Byrne created a double-arrow between the sufficient and necessary, which is a result of making those two flaws—these two things are the only things that result in suspension, and a suspension my mean that at least one of the two occurred. Would C have been the answer if it had stated "condition" instead of "assumption"? If not, I don't know why it would be false! No, changing the wording like that would not make the answer choice correct. Your prephrase of the flaw in the reasoning would be something like Byrne is assuming that the two ways mentioned are the only ways to get suspended. That prephrase matches well with answer choice (B). It doesn't match at all with (C),which can be roughly restated as "assumes that what is necessary is sufficient." The stimulus didn't say that any particular condition was necessary to result in a suspension. Remember that prephrasing is often the most efficient way of solving a problem. Take the time to actively understand the stimulus before moving to the answer choices.